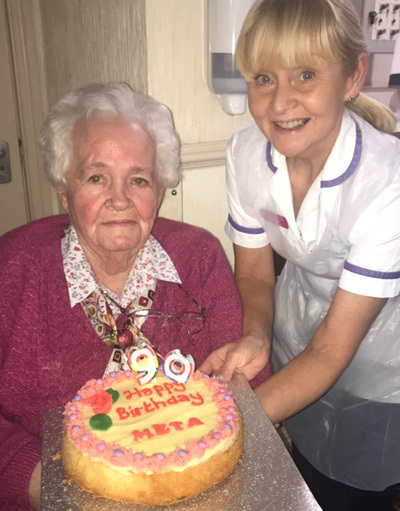 Happy 90th Birthday to our loved resident, Meta from all the staff and residents at Glenkeen! Meta had a great day with her family and all the staff at Glenkeen finished her birthday with a cake and a cup of tea. Meta then had a birthday party the following day where all her friends and relatives came to celebrate with her. From all of the staff at Glenkeen, we wish Meta a healthy and happy birthday, with many more to come. Hip Hip Hooray for Meta!